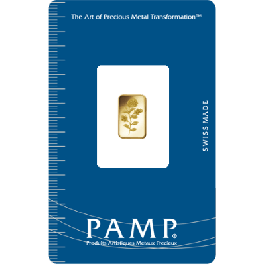 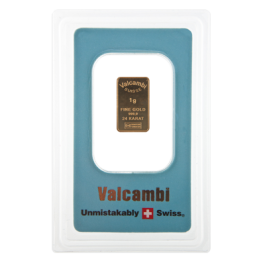 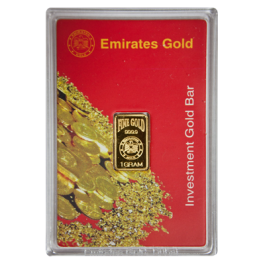 1 gram 24 Carat (999.9 Fine Gold) Bar. 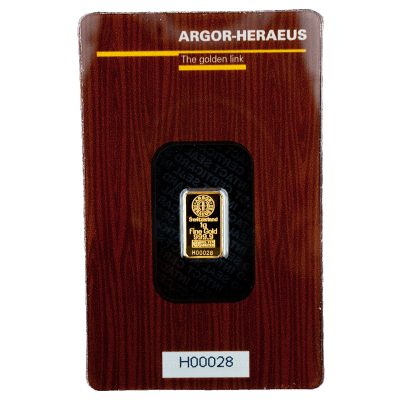 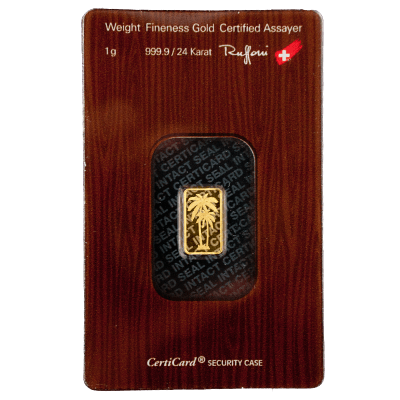 This Swiss-made Bar manufactured by Argor Heraeus would enhance any collection and comes fully encapsulated and certified by the manufacturer, complete with an exotic Palm Tree design on the reverse side. 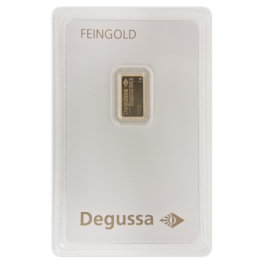 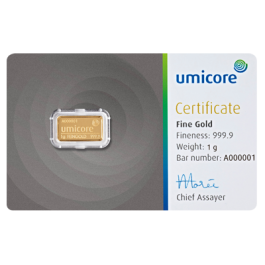 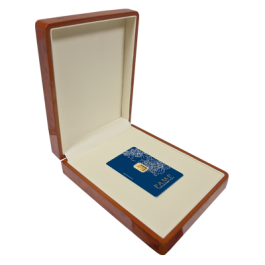 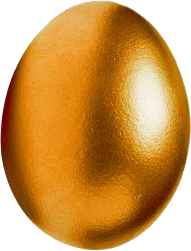 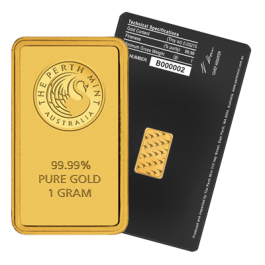 It has never been easier to start investing in LBMA Gold Bullion Bars. 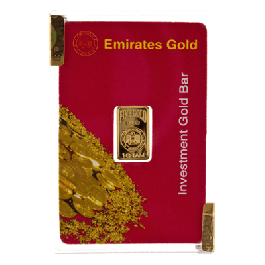 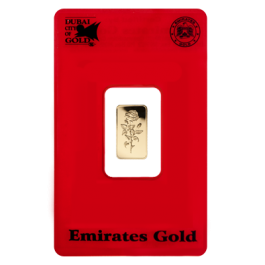 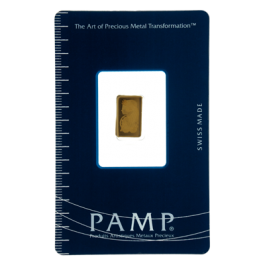 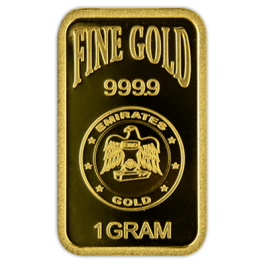 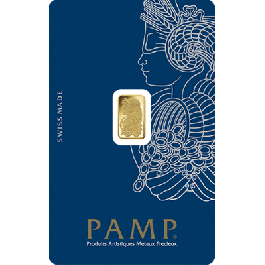 Our low prices produce the most cost effective online option for collectors and investors in Gold Bullion Bars and Investment Grade Gold Coins.